Well, I haven’t added many new countries in recent times, since getting over 100 countries the task gets harder. So every time I come to a new country to review a book from it is a bonus.This is another title from Glagoslav and their decision to bring us lit from a lot of Post-Soviet countries this time Armenia. This book was a best seller in its homeland.Aram Pachyan was born into a family of doctors and studied law. But also wrote getting his first story published in 2007 he now works as a journalist and columnist and hosts a radio show. This was the first novel after he had a collection of short stories. I am 28 years old. That’s what it says at the beginning of every page of his notebook, which he opens every hour and leafs through, and incessantly repeats it with his skin turning dark red with anxeity, first looking at his arms to check that two has not suddenly turned into three.then he hangs his melon-looking head like the limp head of a dead man over one of the pages in his notebook and write two will never become three, because after being discharged the only governor of space and time is you, just like your grandfater who, at the break of dawn, finally closed the books on history. This novel finds a 28-year man has returned to his hometown and is now trying to piece together his life. The man is fragment like the book itself which drifts through time as we see his childhood years the friends he had then. Then the major part of his life in the Army seeing action losing comrades as he remembers a cat called bird, returns home and regains a girlfriend. But all in a fragmented style of almost PTSD world of the ex-soldier it all harks back to events in the army one horrific events and his trying to piece all this together and move forward. But there is also the everyday side of life listening to pink Floyd discovering Madame Bovary and other things as he pieces his world together. This reminds us of the brutal nature of war at times and the repative effect of being in battle. This is like a giant jigsaw of a book the pieces are there but this is like opening the box and piece it together without a picture. It is a young man’s world but told from his view others point of view and in a third voice at times. This makes it a compelling and challenging piece of prose. I was reminded at times of another recent book the novel Fado Alexandrino even down to what one may say is a feeling of Saudade in that book is also tinged in this book. A man looking back as well to his life in the army in the army and after the army.Also how to deal with PTSD in the fragmented nature is about trying to grasp life once again. This was one of the most challenging books I have read recently but also one of the most interesting for any world lit fan this is an interesting first book from Armenia to read. This is another from Maclehose new collection of press editions of books from around the world. This book is by one of the rising stars of Polish fiction. Żanna Słoniowska she won the Conrad prize a prize for a debut novel and also the Znak prize which had over a thousand books in contention for it. She was born In Lviv in Ukraine but now lives in Krakow. She works as a Journalist and Translator. On the day of her death, her voice rang out, drowning many others, rancous sounds. Yet death, her death, was not a sound, but a colour. They brought her body home wtrapped in a large, blue and yellow flag – the slag of a country that did not yet exist on any map of the world.She was tightly shrouded in it, like an Egyptian mummy, thoug in one spot on the surface a dark, blood-red stain was breaking through. As i stood and starred at that stain, I was strucj by the feeling someone had made a mistake. The opening and her mothers death and the first mentio of Blue and Yellow . This book is set in the town of Lviv, in fact in a way it is as much as a character in the book as the people that live in the House with Stain glass. The story is told through the three woman who all live in the house and really cover the whole of the last century. The house in Lviv in Ukraine is home to Great Grandma grandma Aba and Mother Marianna and her Daughter. All live in the house the books open as Marianna is killed, she is a famous Opera star and leader of the movement to free Ukraine from the Soviets. The story is told from the daughter’s point of view she tells of her grandmother’s struggles and during the wars. The loss of the fathers in history. Also, the grandmother could have been a painter and due to circumstances missed out. The daughter herself many years later start an affair with an older man as we see how the fight to get the blue and yellow flag was flown has affected all those living behind the stained glass window in Lviv four woman and hundred years of history. That winter in the mid -1990’s , Balconnies started falling on peoples heads and walking close to the houses became dangerous. “Mind your head!”wnet the refrain to anyone who ventured outside. This made me thing of those advert” have you had a balcony hit you !! ” as the kept falling on people . The other great female writer about Ukraine Svetlana Alexievich this book shows the true spirit of females in the Soviet Era. Also the constant struggle of the sleeping giant that was Ukraine. This is a portrait of family but also on a great scale of the country. from the grandmothers war time and exile from the original homeland through the mother’s struggle to lead the first movement to freedom, To the present day told from the daughter and those recent years we also saw on the news where the country kept going one way to another. The other character in this book is Lviv one of those great towns full of ghosts and touch so much by the history of the 20th century. An amazingly confident book for a debut novel. One of the things that has come about due to things like the woman in translation month is this new prize. The longlist has announced a mix of Adult fiction, Children’s fiction and Poetry. It is great to see a mix of lit in a prize. 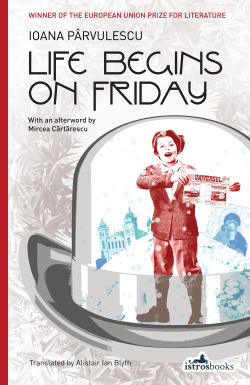 My personal favourite is the book from Istros life begins on Friday as Susan has been so supportive of this blog over the years. I have read four of the books from the longlist and have also reviewed other books by a couple of the writers. Nice to see the first longlist of this new prize more details about the prize. Have you read any books on the list? I missed his other novel when it came out in English. The book was a huge success, Norweigan Wood chopping, stacking and drying wood the Scandinavian way. The book has since been brought to be made into a movie. he works as a journalist and editor. he has written four books, this is the second of his books to be translated into English. Why did he torment the trees? I stood there for a long time that night, between the white trunks that seemed to be an infinty of flagpoles, rehearsing an anger towards a man who was dead, an an anger which I soon set aside because I realised that I was merely copying Bestefar. His Grandfather Bestefar still hits out at the Uncle the great wooodworker by his treatment of wood far different. This is the story of one man trying to unravel his families past. Edvard is a farmer in a remote part of Norway. He only has his grandfather, as his parents died in France to a poison gas grenade.His grandfather is a simple man that makes simple things in wood. But also has a dark past as he fought on a theNazii side in the Norweigan Legion in the war the haunts the family as well. Then there is his grandfather brother his great Uncle Einar a renowned woodworker in his day. But something happened in the past and he left the family home and ended up living in the Shetland Islands. When a wonderfully craft coffin arrives at his grandfather home. Edvard decides it may be time for him to start setting straight all that had happened in the past. But what happens the number they have for Einar inj SHetland is said to be that of a Hairdressers, but as he goes there and he starts to discover his great uncles past he finds he was in love with the said Ladies Hairdresser. He also meets Gwen a posh English girl also looking into her past and Einars past lead him to the Somme and the wood he found in the horror of the war. The local priest sees some of his great uncle Einar in Edvard himself. This is a sort of mystery novel about families past. It is showing the rigs of the family like the trees that keep cropping up it shows the ages of this family. As we follow Einar as he tries to piece together the jigsaw of his grandfather and great uncles falling out. But also his own parents past and their deaths that he never really knew much about. A trip that goes from Norway via Shetlands and then France in the present day, but then the Russian front and the Somme in the past. Edvard has taken his past like a lump of wood in a lathe and worked it into a family tree unique and maybe full of dark parts but also love and love of wood. I also loved Edvard talking about the music he listens to through out the book. Well, I always love reading the Novellas Peirene, choose every year. Over the time I have blogged, Peirene has been publishing books. I have been reviewing them on this blog. This third book of the year is by Kerstein Hensel the German writer initially trained as a nurse in the former East Germany and then studied literature. This book originally published in Germany in 1994. Only a few years after the reunification of Germany. She has won numerous prizes for her works. Including the Lessing Prize for the body of her works. I avoided Fraulein Brinkman. I knew that I had to do something to not stand out.The “I” was a sign in the register. From then on I did my fair share of staple throwing and chair rocking. My fellow pupils cheered me on and accepted me as one of them; Ha , the doctors kid wants to play too! The first teacher at school had her down as an I from the intelligentisa the only one in the class !! Told from the point of View of Gabriela. Gabriela is born into a family of Nobility in the Former East Germany. Her full surname is Von Haßiau. She is the daughter of a Surgeon, her mother is a society Hostess. Now, this would be great a wonderful start to life in the west but this is the old east of Germany. Gabriela is expected to follow in the family way so when she is just five she is appointed a Violin teacher. Although her playing never amounts to much it is her teacher that touches her. after she lost her Uncle the one they called the Bad German is shot by the regime. Frau Popiol and her red hair have a lasting impact on the young Gabrielia as she compares her first school teacher unfavourably to this woman. On her first day at school, her fellow pupils laugh at her name. As she is described by the teacher as A bourgeoisie relic for using the Von piece of her name. But as her father intervenes for her next day is different. But she has one friend at school. Katka is the poorest in the class is her friend they connect most to her mother’s dismay. THey get on til the teen years where Katka grows up after her first period. But Gabriela starts to go down hill. Ending up under the bridge living by the Kanal.We also see through her childish eyes. The family fall apart, early on in the book she describes her mother drinking. Then later finding her in bed with another man. Then Her father who she says only talks about Varicose and his clinic. He like many fell foul of the east German regime. We see all this as Gabriela tells her story when the wall falls down as a homeless woman in East German to a west German Magazine. The passage icluding the title she had danced earlier there with Katka in thr town of Liebnitz she grew up in. The parents say the daughter is Blnka when she was bad and Ehlchen when she was good.But this is a story of a girl that never really fits. Her parents you see from her point of view are distant then her school doesn’t work. This doesn’t help when her father won’t let her join in certain organizations within the school that all the other pupils are in but her. It is a story of a downfall. In the intro to the book on the Website says you look into the face of a homeless person and wonder why them not me. I get this sense myself. If our lives twist one way or another would we be Gabriela? What she shows is that even the highest can fall but also I feel the path is laid for Gabriela in a way. She has parents that we see maybe have other agenda in their lives but her and then she puts her self straight on the back foot at school. One downfall is a maybe the voice of thousands that fall through the cracks. Also, shows the darker side of life on the streets when Gabriela has something happen and isn’t believed.